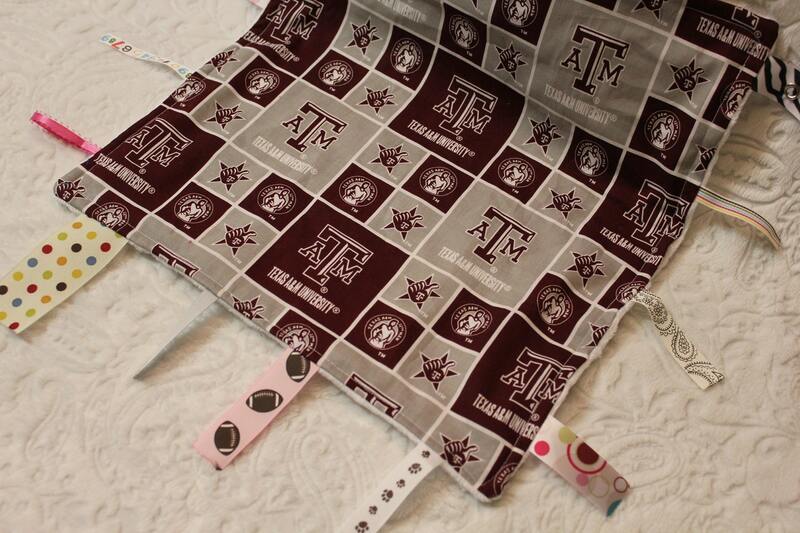 One side of this blanket is the Texas A&M block logo in maroon and grey all over. The other side is made with white minky dot fabric (If you prefer a different color of minky dot on the back side, please let me know when checking out). The ends of the ribbons have been heat cured to prevent fraying. The ribbons shown on this blanket are geared for a girl, but can easily be changed out for more boyish ribbons.